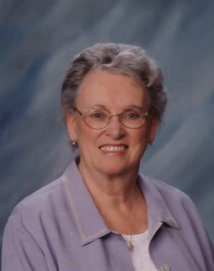 Barbara Jean Bohnett Oliver, 87, of Manti, passed away on Feb. 3, 2019. 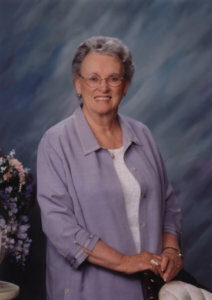 Barbara was born in Green Bay, Wisconsin to Ralph and Margaret Bohnett on Dec. 13, 1931. She is survived by her daughter, Beverly Armstrong (Bob) of Manti, her son, Bill Hurd and his wife, DaNae of Alpine, Utah and her daughter, Ruth Thornberg and her husband, Craig of Veneta, Oregon. She leaves 14 grandchildren and 47 great-grandchildren. She is preceded in death by her sister, Sharon Fisher and her husband, Michael Rex Oliver. There will be a viewing on Friday, Feb. 8 from 11:30 a.m.-12:30 p.m. with funeral services to follow at 1 p.m. at the red church, 295 S Main St, Manti, under the direction of Bishop Bigelow. She will then be laid to rest beside Rex Oliver in the Masonic Cemetery in Grants Pass, Oregon.